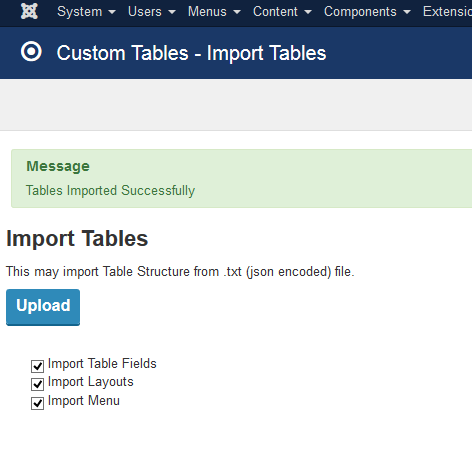 You can import exported tables to Custom Tables. This functionality makes it easy to setup new website. Exported table(s) file is a JSON encoded text file that contains table structure, fields, layout and menu item. Below is an example of how to import "Appointments" Demo example. Download. appointments.txt file. Click using mouse right button and press on "Save Link As"
Done. Go to Custom Tables/Tables to see ne tables. 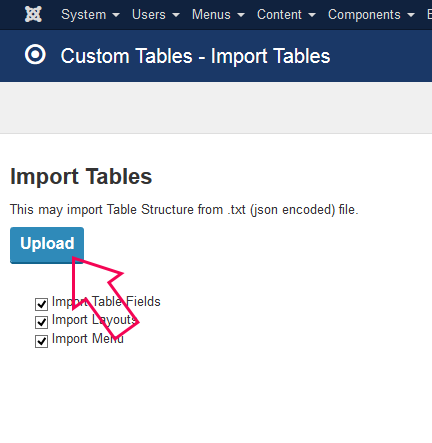 Export functionality available in Custom Tables Pro version only.